When I created Blush Freelance in 2009 it was in response to the wants and needs of many women. Women that wanted to have their hair and make-up professionally done in the comfort and convenience of their own home, hotel, or on the grounds of their special event. After years of being both “on location” and also in the salon providing hair and make-up for weddings, bat mitzvahs, proms and photo shoots, I have learned exactly what is needed and expected to provide not only exquisite looks but also excellent customer service. Finding a reliable and talented hair or make-up artist can be a daunting task. So, I have put together an incredible freelance team, and designed a system that takes all the stress off of you and makes choosing an artist easy and fun. The booking and scheduling process is also simple because we do all the work. I am extremely proud and have the utmost confidence in my dedicated and talented team of artists. We have a long term commitment to each and every client. You have my personal guarantee that we will do whatever it takes to achieve your style goals, and help make your special day memorable! Looking gorgeous on your special day is likely top on your list. 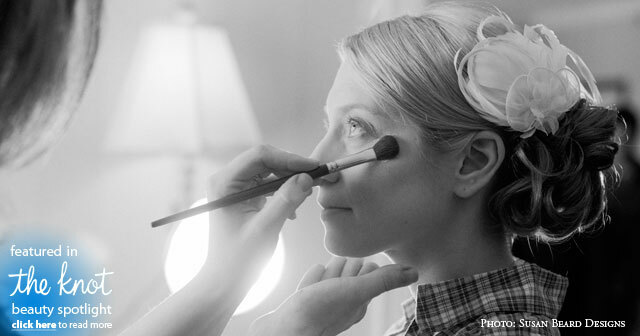 Hiring an onsite hair and makeup artist is sometimes a daunting task. No two artists are the same, so it is imperative that you locate a reliable and experienced professional to achieve the type of look you are going for.